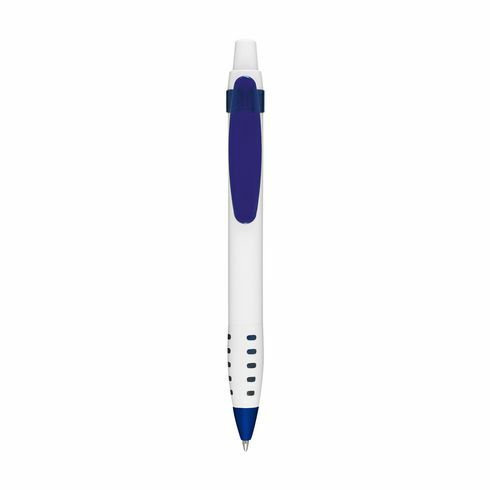 Blue ink ballpoint pen with ~ transparent coloured clip ~ matching indented detail on the neck. Look great, no choice of blue or black ink though. couple came apart easily. But look very well.